You can fill a day or a week in Coastal Georgia with activities tailored to your interests. Get off the beaten path and discover the nooks and crannies of our remarkable coast as you look for rare birds, explore museums, see Colonial and Civil War forts, taste our coastal dishes, explore African-American heritage, or photograph lighthouse after lighthouse. Choose from the following itineraries. Get a taste of the Georgia Coast through its restaurants. 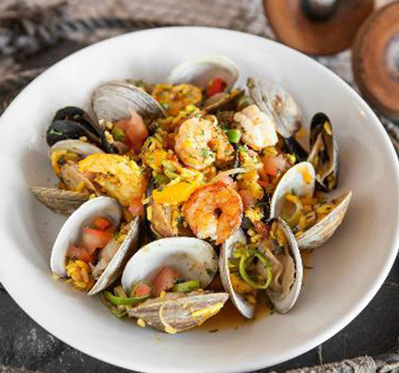 With award-winning restaurants, fresh seafood, and world famous Lowcountry cuisine, your taste buds are in for a treat. Breakfast: See where the coffee roasting takes place when you stop in for a bite of locally produced food at Savannah Coffee Roasters in Savannah. Then head to Chef Darin’s Kitchen Table for your hands-on cooking lesson with Chef Darin Sehnert, whose informative, funny, creative and thorough style will keep you entertained and make you a better cook. Lunch: Sign up with Old Savannah Tours or Old Town Trolley Tours of Savannah for one of their culinary tours that will allow you to walk your way through lunch as you sample some of the most famous dishes in Low Country cuisine. Come hungry! Dinner: Head south, to Darien, the Golden Isles or Kingsland/St. Marys for fresh-off-the-docks Wild Georgia Shrimp and other seafood specialties, prepared with local seasonal ingredients at the peak of flavor.